Today, the internet has become the axis of almost everything. From booking movie tickets to banking transactions, connecting to a friend, online shopping, ordering food almost everything can be done with the help of internet. E-commerce platforms and online shopping portals have used the internet to its fullest. Bulk SMS Marketing can Generate Leads for your E-Commerce Business websites want to stay connected with the target audience to give them updates and offer details on a regular basis. Bulk SMS service is the best platform to stay connected with the target audience. Bulk SMS service is a reliable, quick and user-friendly form of communication. Sending SMS to the customers on the regular basis helps the users to perform well in the market and win the confidence of the audience. Bulk SMS service is an effective way to send out the promotional messages to a wide base of audience. Sending messages to the customers about fresh arrivals, discounts, greetings, order confirmation, payment confirmation etc. Keeps the customer informed and up to date. Along with saving a lot of money and time for the people in E-commerce marketing, it also adds value to the customer satisfaction. This will also encourage more people to visit the e-commerce website. 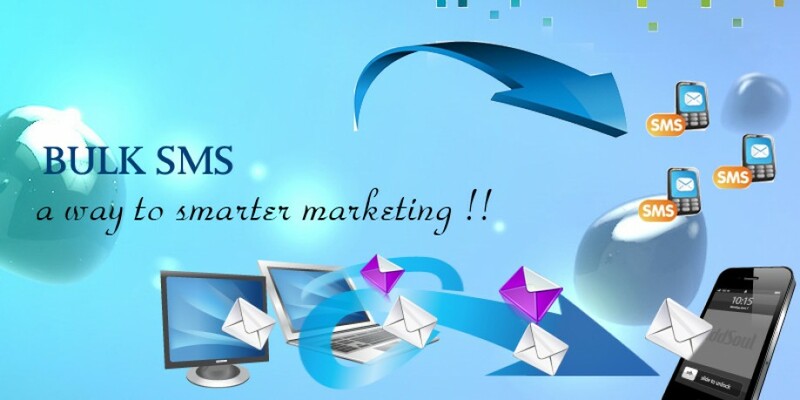 Bulk SMS service can be easily integrated with the ongoing marketing campaign. The bulk SMS services have given the E-commerce platforms the liberty to stay connected with the target audience. SMS has a high chance of getting read by the user. Also, Bulk SMS service is available 24/7and can be sent at any time of the day. But, the timing of sending the message is also important. An e-commerce business can be greatly benefited from the bulk SMS by expanding the business globally outside the home territory. Let us discuss how bulk SMS is beneficial for the E-commerce business and can help in generating the new leads. Bulk SMS helps in expanding the business by keeping in touch with the customers. By constantly prompting the customers about the fresh stock, offers, and discounts, the customer feels an urge to visit the website. This also helps in improving the traffic as well as sales of the websites. Bulk SMS is also great to provide the better services to the customers. You can inform the user about the order confirmation, payment reminder and confirmation, account information and many more. Bulk SMS Marketing can Generate Leads for your E-Commerce Business. If a customer visits the website for the first time, the aim should be to collect as many information as possible. For example name, Email address and Phone number etc. This makes it easier to follow the leads and convert them into potential customers. E-commerce websites are offering discounts for the first time purchase. Bulk SMS services help to inform the users about the first time discounts and allures them to buy from the websites. Bulk SMS service is the best and cost-effective way to inform the customers whenever new products are launched. The large-scale publicity of the fresh arrivals can help in boosting the sales of the E-commerce. You can also share links to newly arrived products so that customer can easily check the latest products hassle-free. This improves the website visibility and the traffic on the website. Attract the customers to buy more by guiding through the complete buying cycle. For a new lead generation, marketers are confused at some of the basic questions like- What should we send to the customer? What is the perfect time to send the SMS? How frequently should messages be sent? The answer to all these questions leads to a successful marketing campaign. Let us try to find out the solutions. The content sent to the customers should be precise, to the point and should contain all the necessary information without any mistake. The content should be appealing, fresh, eye-catching to attract the attention of the customer. The frequency of sending a message should be kept optimal neither too high neither too low. A message per week would be the perfect frequency. Any lesser than this and customer may forget your brand name. Also, sending more messages annoys the customers and may harm the brand reputation. Everyone likes to feel special. You can personalize the content so that the user feels special and connected with the brand. You can greet the user with the name and wish them on special occasions like birthdays, anniversaries, festivals etc to make them feel special. Also, you can send them exclusive offers and discounts. This makes them feel special and they would like to buy more products from you. Bulk SMS is a quick, cost-effective, user-friendly and reliable method of marketing the E-commerce. It is the perfect way to generate new leads and maintaining a good relationship with the old customers. By sending instant notifications about discounts and offers to the customers, E-commerce websites can improve their sales and brand value. There are many bulk SMS providers available in the market that can provide you bulk SMS service at affordable rates. So go ahead and take advantage of SMS services to boost your sales. SMSLAB is India’s trusted and online Bulk SMS messaging services in India. We are trusted by various educational institutes, enterprises, hospitals, e-commerce businesses, finance organizations clients due to rich-feature solutions, no-delay messaging and low price SMS Services.